LEARN HOW YOU CAN STAND A CHANCE TO WIN UP TO SGD $25,000! 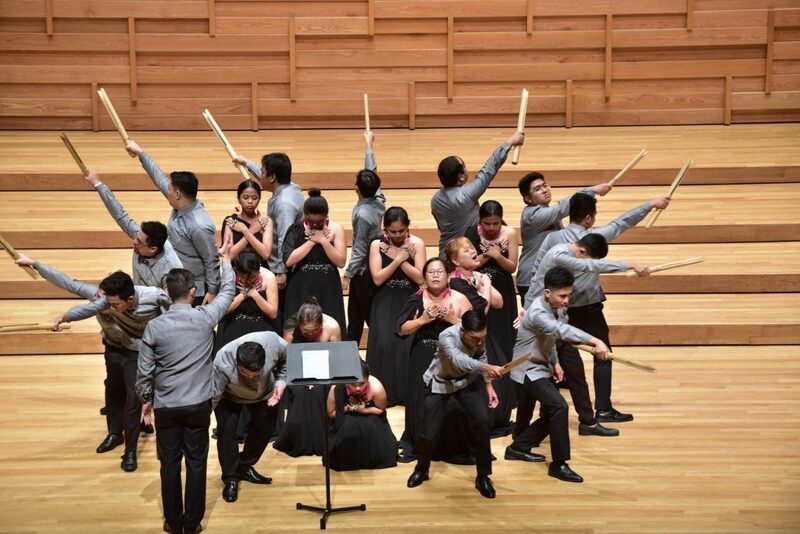 Orientale Concentus, conceptualized in 2008 with the purpose of promoting international arts and cultural exchange and youth choral music development, has seen a successful run across Asia. 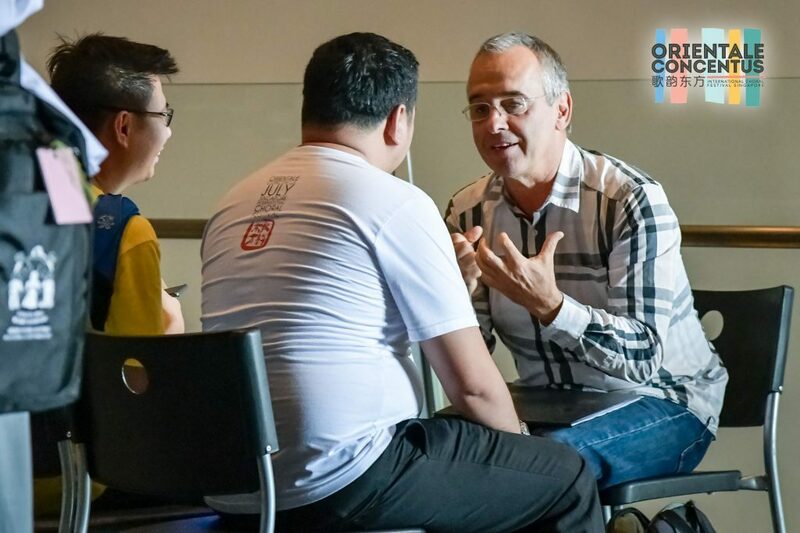 Participants in earlier editions not only hail from host countries, but also from Malaysia, Indonesia, China, Taiwan, South Korea, South Africa and Czech Republic! 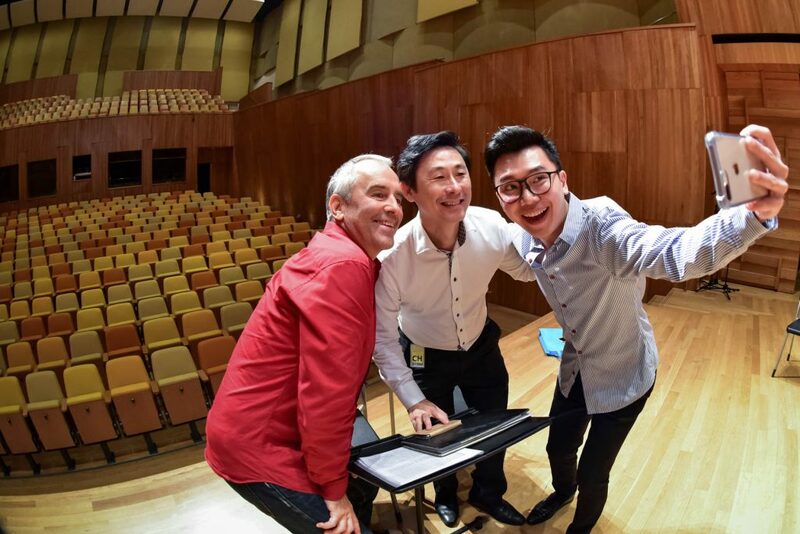 This will be a unique opportunity for all choirs to step into a holistic and memorable international choral learning journey, all in one place. 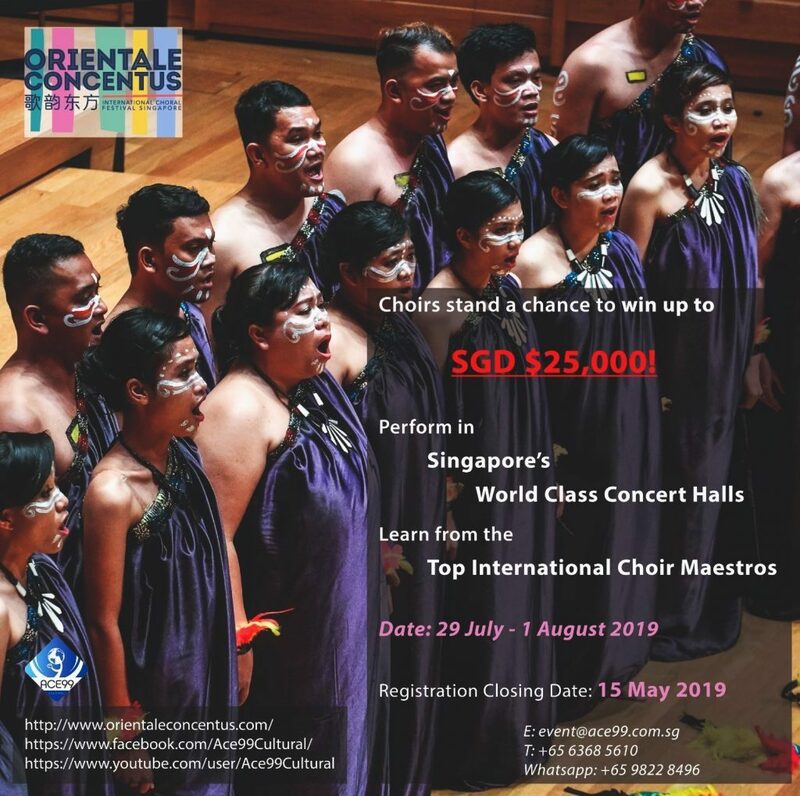 The upcoming 12th International Choral Festival Orientale Concentus, Singapore 2019 is scheduled to take place once again in Singapore from 29 July - 1 August 2019 (4 Days). Why you should sign up? Grand Prix Prize Money of SGD 10,000 GUARANTEED! Remarkable opportunity for aspiring choirs to broaden their chorale horizons, network with other talented choirs and build long-lasting international friendships! Learn from our World Renowned Adjudication Panel! Watch our 11th Orientale Concentus' highlight video to have a glimpse of what you can expect participating in OC11 and how we are different from other festivals in the region! Participate NOW to save 15%! Visit www.orientaleconcentus.com or email to event@ace99.com.sg to find out how you can win up to SGD $25,000 and other exciting offers for Orientale Concentus 12. We are really excited with all the programmes that we will provide and we would love to have you join us! P.s. Do remember to follow us on Facebook for more updates!